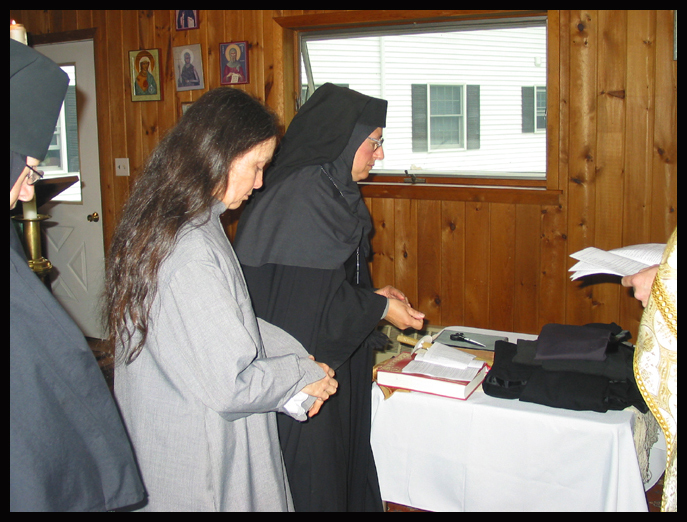 On June 5, 2007, our Sister Eugenia was tonsured a Schema Nun and given the name Mother Katherine. 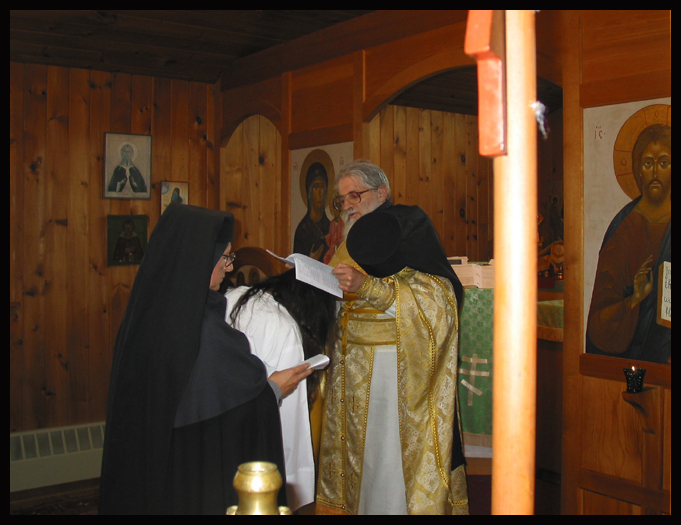 Father Juvenaly from St. Tikhon's Monastery in South Canaan, our Trustees, and many guests joined us on this joyous day. By being tonsured to the Schema, a woman chooses to live as a nun for the remainder of her life in obedience, chastity, poverty and stability. 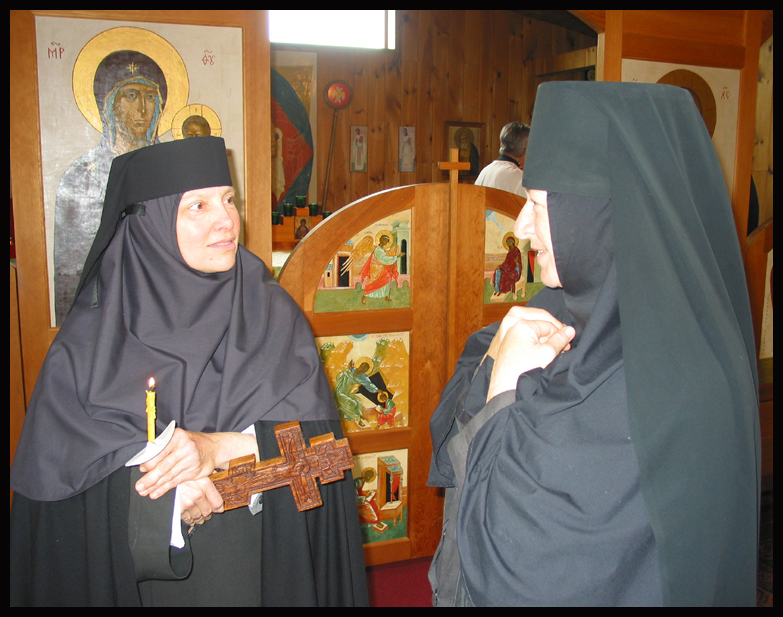 She is instructed again during the service about the meaning of the life of an Orthodox nun and asked questions clearly concerning her will to live this life in obedience to the call of Christ, to her abbess and to all of her sisters, accepting all that will come for the rest of her life as from God's hand. To all of this she responds "Yes." Prayers and tonsure are followed by being clothed in the monastic habit or Schema which for us means the mantia, or the monastic cloak. Mother Katherine is our shepherd, and we think she was secretly hoping to receive a sheepskin (the early form of the Schema given by fourth-century monastics in the Egyptian desert), in place of her mantia... May Christ bless His servant!